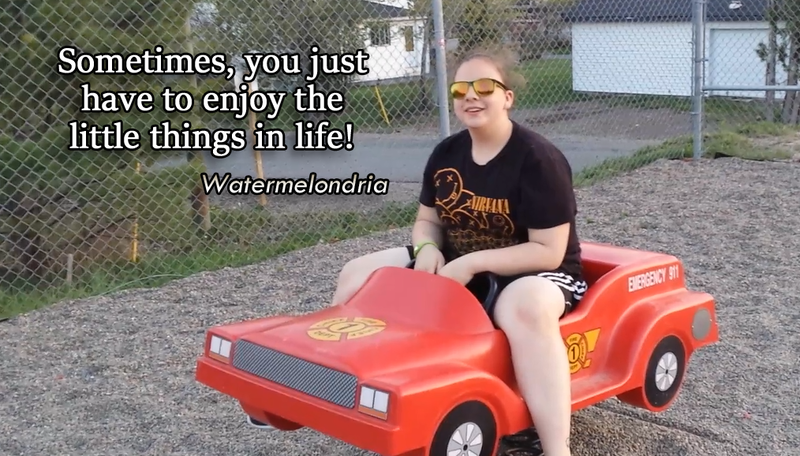 I found Watermelondria near a homeless shelter. She'd lost everything. I felt so sorry for her. No home, family, or friends. But I was amazed at how she could still have such an upbeat, positive attitude after all she's been through. So, I decided to share it with the world. Give 'em a sense of hope, y'know?